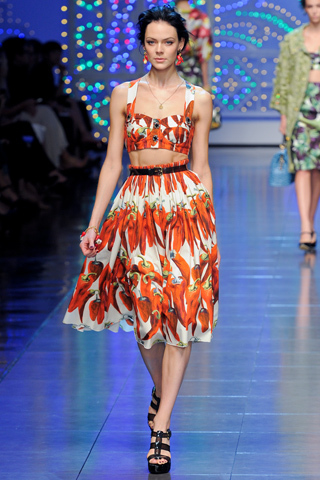 After seeing this D&G runway i have been hungry for some food print.Well dinner is served. So right now i'm currently reworking a fruit print dress into the above. however I can't decide between skirt or bloomers!! !